Here’s the finished version of the map of Charlottetown that I started on this morning. I added Charlottetown at the bottom in 60 pt. 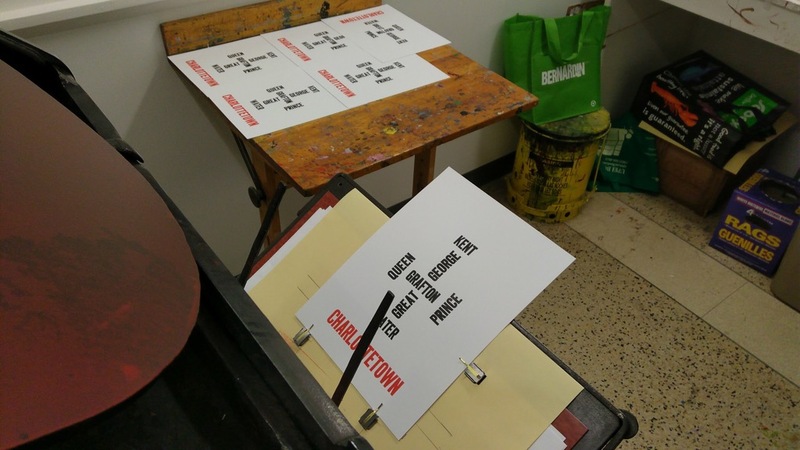 Akzidenz Grotesk, and punched a 3/8 inch hole at the top. I’m not entirely sure why the hole, but it works. In addition to the printing part of this project, it’s been interesting to consider the notion of the least-detailed-but-still-useful version of a map of the city. 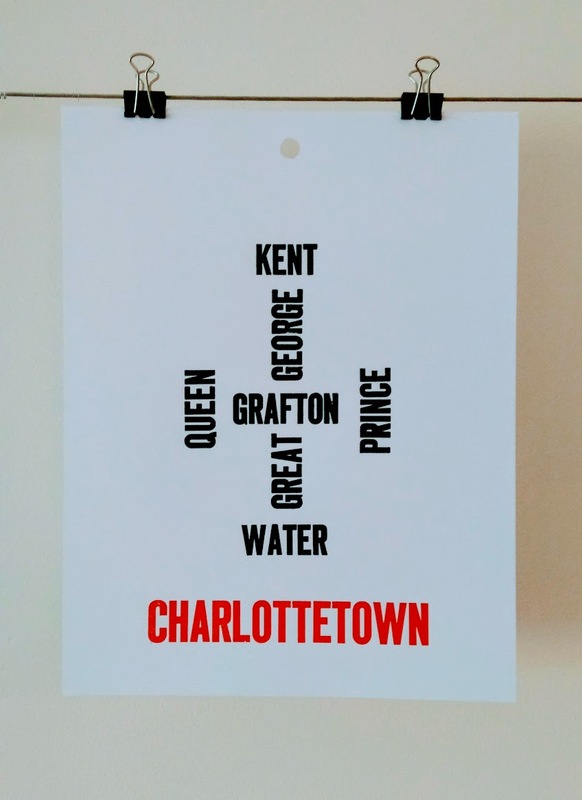 I see a lot of tourists wandering around Charlottetown with maps in their hands looking confused, and I think part of the reason for this is that they don’t understand the fundamentals: Kent is the head, Great George is the spine, Queen and Prince the arms, and Water the feet. Ping me if you’d like a copy. Written June 13, 2017 at 3:35 p.m.
Nice piece. I set a similar poster in the fall of 2015 - of downtown Peterborough. Happy to send you a copy. So many memories on those streets from my time in Peterborough. yeah, for sure. Love a letterpress swap. email me your address and i'll return the favour.